Kids are heading back to school and summer is coming to a close (would someone please tell DC that summer is coming to a close? There’s only so much humidity a person can handle). Perhaps you’re refocusing on your meal plans, or want to eat healthier, or just need some new inspiration for weeknight meals at home. Whatever your motivations, I hope you can find some new keepers among this list, which includes some of my very favorite dinner recipes. A little PSA for District Table readers: I’ll be slowing down the number of posts in the coming months. I’ve shifted back to a 40 hours/week work schedule, since it is Playtime Project’s busy season from now until the end of the year. So that means the fun food blogging slows down a bit, perhaps to every other week, and other types of posts mixed in with recipes. Hope you stay along for the ride, I love sharing with you all! First up: balsamic pasta with chicken, tomato, and asparagus. 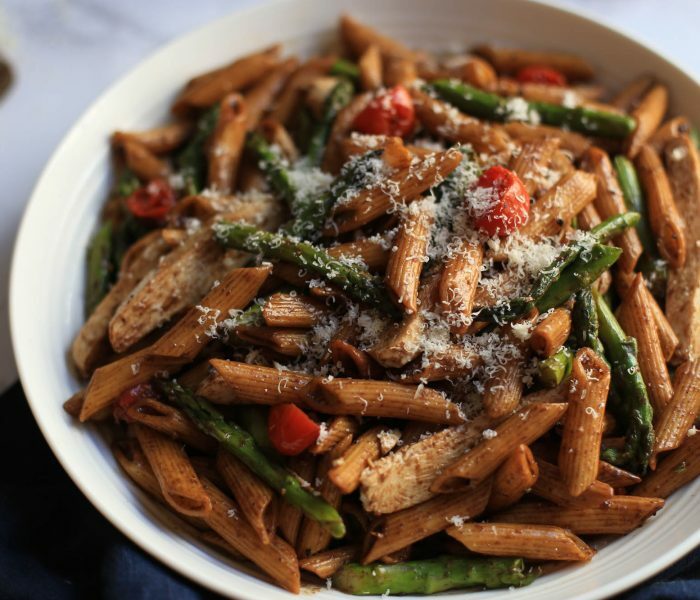 Balsamic butter glaze makes this pasta recipe unique and amazingly delicious. Some multitasking required. If you don’t feel like multitasking tonight, there’s nothing much faster than throwing together a salad. 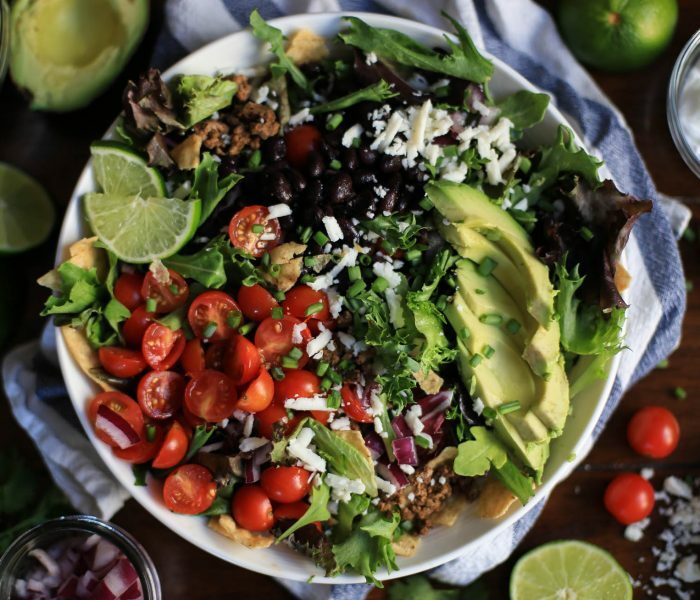 Step it up with this colorful weeknight taco salad. Breakfast for dinner? Yes please. 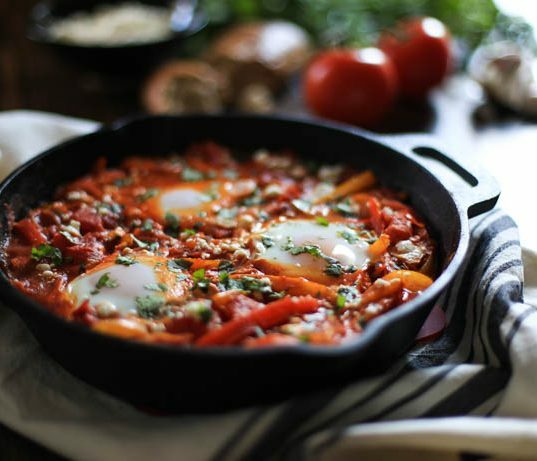 My favorite egg dishes include simple shakshuka or some sweet potato hash, which has become a favorite among my family. 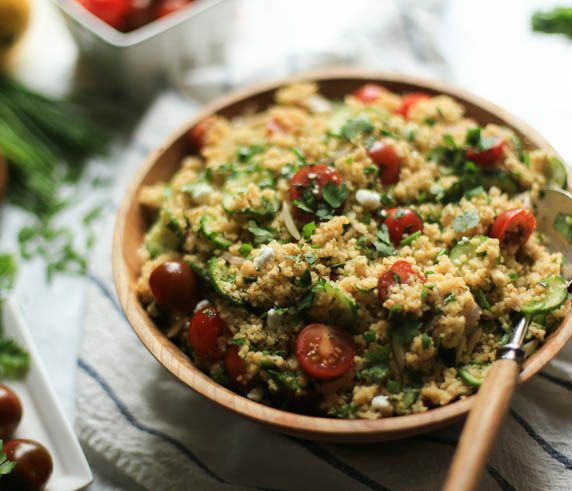 Couscous salad is easily made into a main dish with the addition of salmon, shrimp, or chicken. Along those lines, obviously the recipe is customizable, with as much or little prep as you want, depending on what’s in the fridge. 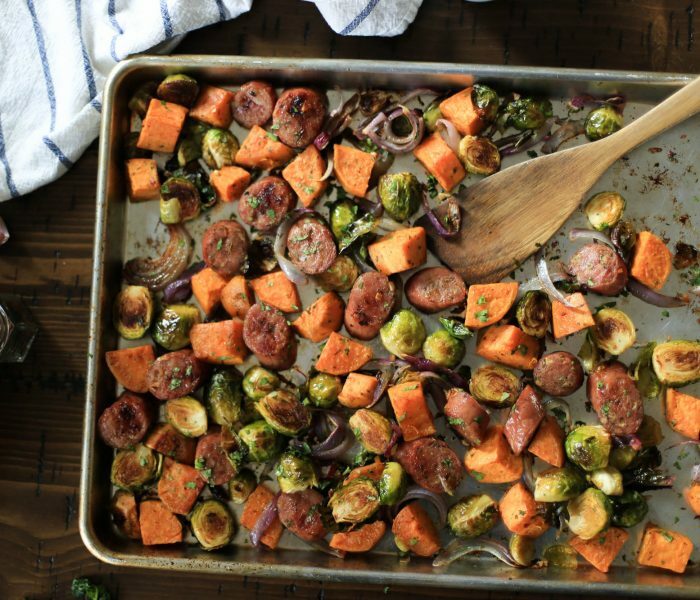 Just one pan is all you need for an entire meal of roasted sausage and veggies. The recipe is even Whole30 and Paleo friendly. 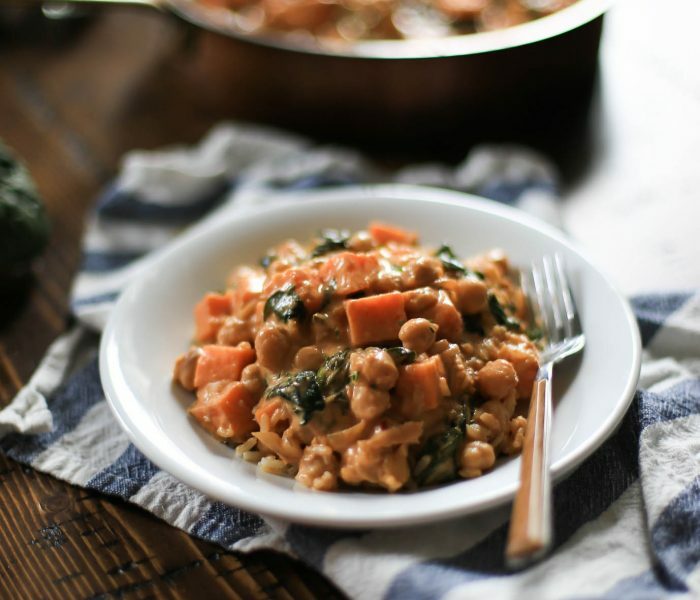 I always make double of this one pot chickpea and sweet potato stew so that I can keep enjoying the leftovers all week. 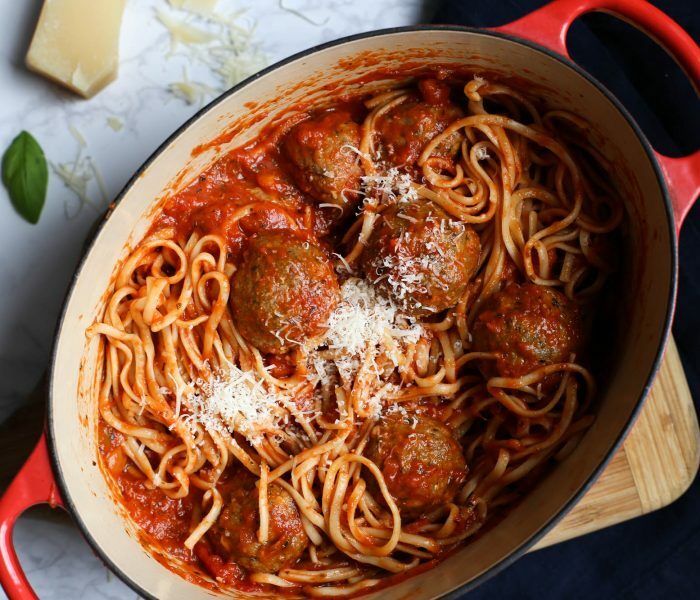 Take a new approach and try baked pesto meatballs for a healthier take on spaghetti night. 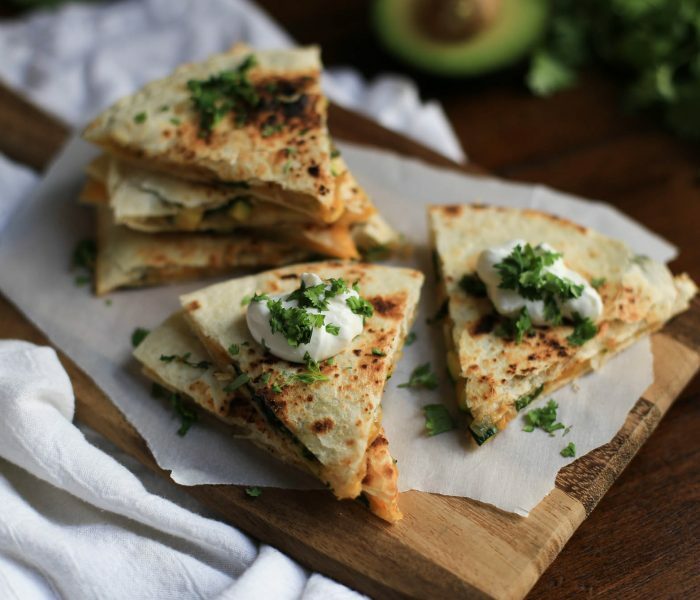 Throw together these simple, cheesy, quick zucchini quesadillas, with all the toppings you could desire. 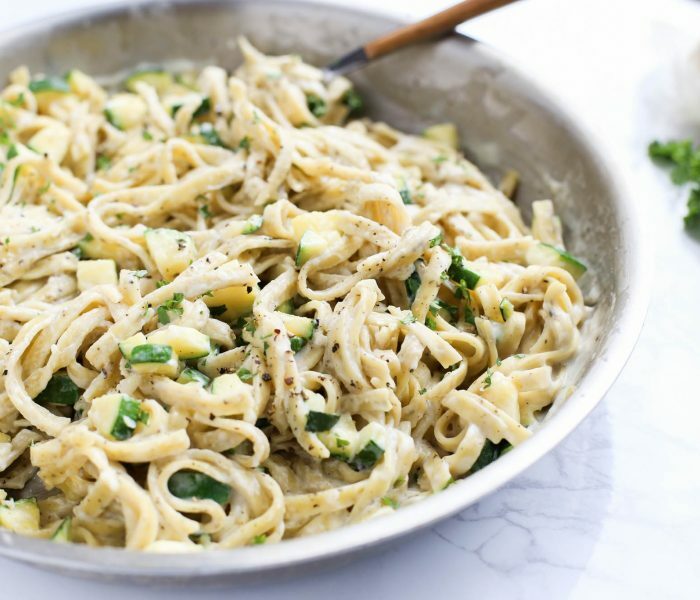 You can make alfredo just a teeny bit lighter and a teeny bit healthier than you may expect, without sacrificing flavor. Find lightened-up fettuccine alfredo here. 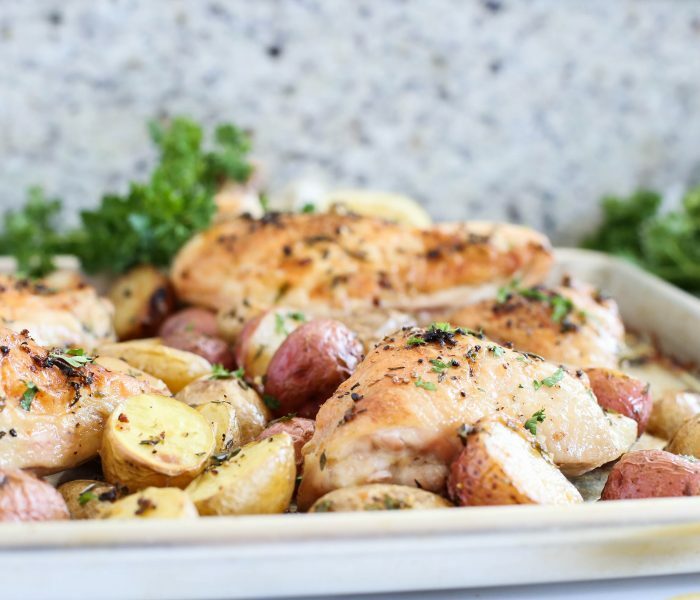 Another meal made in just one pan, that can feed the whole family: herb-roasted chicken and potatoes. Perhaps with a side of the popular roasted broccoli. Interested in more? If you want to break out the slow cooker, I recommend the easiest slow cooker recipe of all time, or perhaps some Asian-style pulled pork sandwiches. There’s also always the meatless meal option.